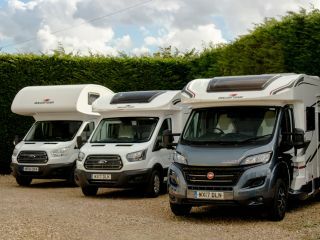 If you fancy the idea of heading out to visit Nene Park for a day in the fresh air but also want to stay there, motorhome hire in Peterborough is something to consider! You can actually stay in the park itself in it’s very own campsite meaning you can stay basking in nature all day and night! 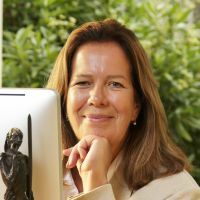 Peterborough is a city in Cambridgeshire, making it a fantastic location to visit much of East Anglia including the fens or even heading into Cambridge itself. 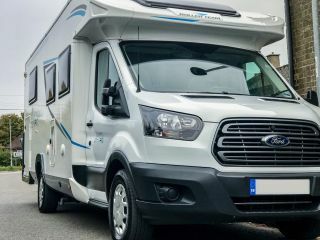 Of course being able to hire a motorhome in Peterborough gives you a lot of travel flexibility to see the surrounding areas and make the most of exploring Cambridgeshire and beyond! Excellent Motorhome. Very clean and in first class condition. Very professional service. 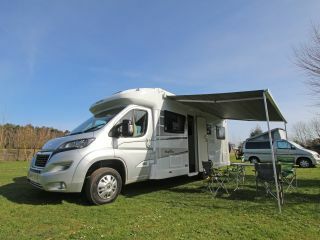 We thoroughly enjoyed our holiday and would recommend New Marque for hiring a Motorhome. 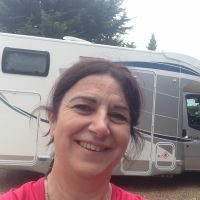 Excellent motorhome and service, we couldn't recommend Luke and his team more highly - very professional, friendly, super helpful and honest. 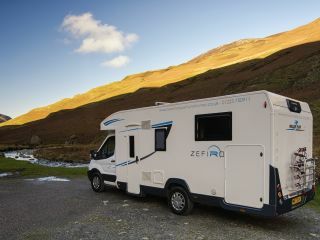 The motorhome was brand new, well kitted out, easy to drive and came with sat nav which was geared to roads and routes suited to motorhome. Also secure parking to leave our car at Luke's garage which was handy. We would highly recommend. Motor home in excellent condition. Very well equipped, comfortable beds. Excellent service and very friendly staff ensured a quick and easy handover. Would recommend. Since the city is a relatively small one surrounded by rural areas, there are plenty of opportunities to find Campsites near Peterborough. Ferry Meadows Caravan Club Site is actually located in Nene Park which makes for a stunning place to pitch up. There is a lake nearby where you can fish and a new playground if you are going with your kids. If you are a fan of doing so, you can go bird watching in Nene Park. the area has some hides set up that make for an optimum view of the surrounding area and gives you a good chance of seeing some of our avian friends. Finally, for you avid anglers out there, you can also try your hand at course fishing in one of the lakes on site. A popular area to visit in the area is Nene Park in Peterborough. 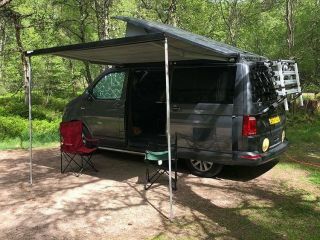 Campervan hire in Peterborough would naturally make getting here a breeze! The park was made in the 70’s to give people a nice place to Take a stroll and enjoy the tranquility of their surroundings. 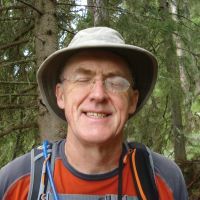 It has since become a popular destination for tourists visiting the city and for people going camping in Peterborough. The park has an impressive three lakes that offer various activities including dinghy sailing, rowing, kayaking, and even windsurfing classes! Visit Burghley House if you fancy checking out a grand old sixteenth-century country house within the civil parishes of St Martin's Without and Barnack. Located near Peterborough, the house is from the Elizabethan era (yes the first one) and was originally built for Sir William Cecil who was Queen Elizabeth I’s Chief Advisor and treasurer for much of her reign. The house is known for its impressive collection of 17th century art, much of which comes from Italy. 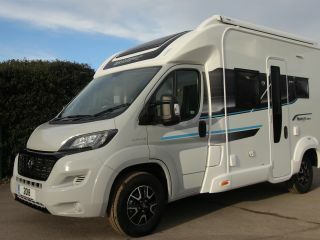 If you are a dog owner, make sure they factor into your motorhome hire in Peterborough! This is because there is a dog event called ‘Just Dogs Live’, the perfect event for pooches and their owners! The event welcomes everyone who is a dog owner, dog breeder, dog beautician, or even just a true believer in man’s best friend. The event runs from the 6th to the 8th of July and tickets are £5 online or £12 at the car park when you get there. Each dog you bring costs £2, and all the money from tickets goes to the Medical Detection Dogs charity. You are welcome to bring along your dogs. They don’t have to be a pedigree or show dog. The Gates are open at 8am through to 5pm. With so many places to run around and butts to sniff your best friend will really appreciate this day out!